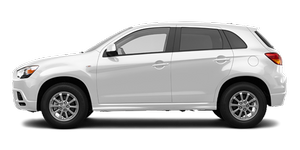 Mitsubishi ASX is a compact crossover vehicle, first released in the Japanese domestic market. In Europe, Australia, Jamaica and Latin America it is sold as the Mitsubishi ASX (an abbreviation of "Active Sports Crossover"), and as the Mitsubishi Outlander Sport in the United States. In Canada it is sold as the Mitsubishi RVR, while in Puerto Rico it keeps both the ASX and Outlander Sport titles as well. It is based on the design of the Mitsubishi Concept-cX prototype first exhibited at the 62nd Frankfurt Motor Show.